We invite table bookings for parties of 6 or more people; unfortunately, we are unable to take bookings for smaller parties, but our table turnover time is usually very quick and there is never a long wait. Please see below for an interactive walk-through of the pub. 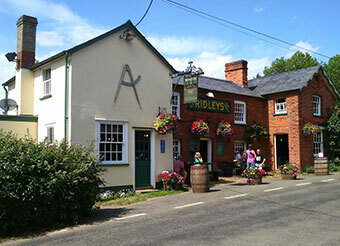 We are located in the hamlet of Littley Green. Out in the countryside, near to Felsted, Chelmsford and Braintree in Essex. For those travelling from further away, the main roads would be the M11, The A12 and The A120. Closer to us would be the A414 and the A131. But eventually it falls upon the smaller and indeed narrower roads. Please do take care, there are numerous places where there will be only enough space for one vehicle, so you may need to pull to the side and let other vehicles, tractors, cyclists, horses and deer pass! Nearest Stations Chelmsford, Braintree and Hatfield Peverel. Surrounded by stunning scenery, and small winding roads - that bring you to our door. For the more adventurous visitor, there are paths, bridal ways and the Essex way that can be best used on your journey too The Compasses.